The KOTA Longboards offering is now closed and is no longer accepting investments. This isn't your kid's longboard! KOTA doesn't just make a better longboard, we bring the value, quality, performance and brand that makes skate attractive to the active lifestyle market. We get it. For years longboarding was for people who bomb down hills with reckless abandon. Boards were built for downhilling and sliding. The skate culture promoted it - so the ridership followed suit. But a new ridership has emerged - older, experienced, more discriminating yet full of youthful enthusiasm and hungry for new, fun and invigorating activities. KOTA has re-engineered the longboard with that rider in mind. One who appreciates quality and performance, and who desires a street-skiing or land-surfing experience. KOTA's electric boards are raising the bar in what riders expect from their eBoard too. We believe our superior performance, ride and style fit hand in glove with the new urban lifestyle. This exciting new market brings even more opportunity for explosive growth to KOTA. Young, old, male, female - the demographic that KOTA reaches is broad and diverse. We have a common connection to all that the KOTA brand stands for, a love for adventure and a desire to be unique! PLEASE JOIN US ON THIS JOURNEY From our humble beginnings in our garage, we've established a highly efficient production process in a scalable factory. We have three growing channels to market, Direct, CoBrands and Retail. We believe our conventional and electric longboards, together with the KOTA brand are transforming the skate lifestyle into one that appeals to a clientele that would likely never step foot in a skate shop. 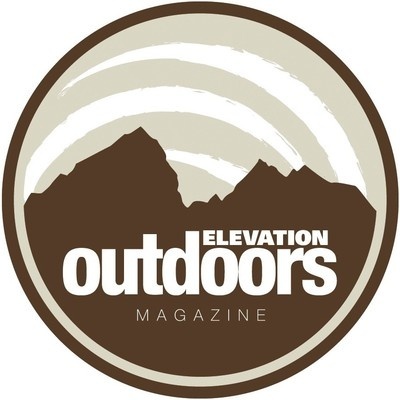 With this StartEngine campaign we're looking for investors who are passionate about recreation and the outdoors to join our team. Together we can keep KOTA on a rapid growth trajectory and build a powerful active lifestyle brand. Let's add some stoke to the active lifestyle community! $3.20 per Non-Voting Membership Units | When you invest you are betting the company’s future value will exceed $3.1M. Early Bird access to specials on new KOTA products. Option to become a KOTA Affiliate and receive a dividend for sales of KOTA products (5% of net revenue). Invest $400 and receive the option to get a Personal Coupon Code allowing you to receive a free KOTA electric longboard by directing friends to purchase products on the KOTA website (15 sales over $300). Invest $1,000 and receive the option to get a Personal Coupon Code allowing you to receive a free KOTA electric longboard by directing friends to purchase products on the KOTA website (10 sales over $300). Invest $10,000 and receive and receive the option to get a Personal Coupon Code allowing you to receive a free KOTA electric longboard by directing friends to purchase products on the KOTA website (5 sales over $300). Invest $15,000 and receive a sponsored trip to KOTA in Denver, CO ($1,000 max) to meet KOTA's Founders, your own KOTA Longboard and longboard lessons from KOTA Escadrille team riders. You also have the option to get a Personal Coupon Code allowing you to receive a free KOTA electric longboard by directing friends to purchase products on the KOTA website (5 sales over $300). "KOTA isn't just a longboard, it’s identity, passion, and the pursuit of excellence." What really inspires us is YOU because we believe you are all pilots, race car drivers, adventurers and explorers! "I wanted to get back into longboarding for years but was totally unimpressed with the lack of quality and style of the boards I was seeing. That’s when I saw my first KOTA. I was blown away by the classic beauty, lines and craftsmanship. It was what I had been searching for so I ordered my first, a SPAD XIII American Flag print. When I first opened the box, I was immediately impressed by the clear coat grip and its durable light weight. What I couldn't expect was how good it would feel under foot! It handles and performs so well that It revolutionized how comfortably aggressive I could carve. Now I like travel to places where I can have fun riding my boards with confidence, class and joy." "KOTA is freedom to me. Freedom from the craziness of life, from the business of the world, from the difficulties we all face. Freedom from the standard day to day routine of life. Freedom to fly, go fast, go slow and focus only on the wind in your hair. Learning to skate has been a dream of mine for many years. My KOTA board has given me the opportunity to experience incredible moments, discover fun downhills in the road and new places. I ride my KOTA to run errands, go to a friend’s house or just to escape for a little while. My best days are when I get to take my KOTA out and just fly. When I'm on my KOTA longboard I feel happy and free. I feel empowered to take on the world. I feel happy to be alive and in this moment." "I had always wanted learn to longboard, but when I was young I was too afraid to jump on a board because I had been told it was dangerous! Nothing could be further from the truth! Mike taught me to ride in an afternoon a couple years ago and I haven’t stopped since. When I'm on my KOTA longboard, I feel strong and free, relaxed and focused. I ride whenever I can, in between meetings at the office, waiting for my son to get home from school, or early on a Saturday morning before the rest of the family is awake. I am a super active woman, skiing and mountain biking are a huge part of me, but they take hours. I can longboard anytime and anywhere. That is why I ride. That is why I love KOTA." Why Enter The Electric Board Market? We realized that eBoard makers are generally battery companies. They've done a masterful job of miniaturizing a battery power plant and designing various drive trains to power a skateboard. However, it seems to us that they stopped there without due consideration for the ride-ability of their product. In essence, in our opinion, eBoard makers have created the sports car engine but without the sports chassis, suspension and body, it's not a sports car. With KOTA, you get the whole package. We believe that as performance gains on electric motors plateau resulting in less and less differentiation between eBoard manufacturers, the market will split in two. At the bottom it will be a race to cheap, commodity product. 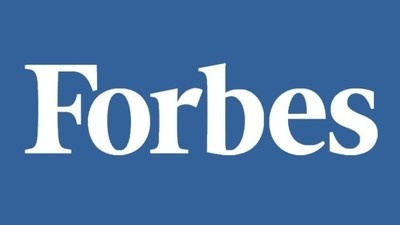 At the top, sales will be driven by value, quality and brand. That's KOTA's domain and we have a significant head start! At KOTA, we understand that the eBoard rider is now using the electric as more than a novelty. Now this growing market is commuting, recreating and traveling on eBoards. 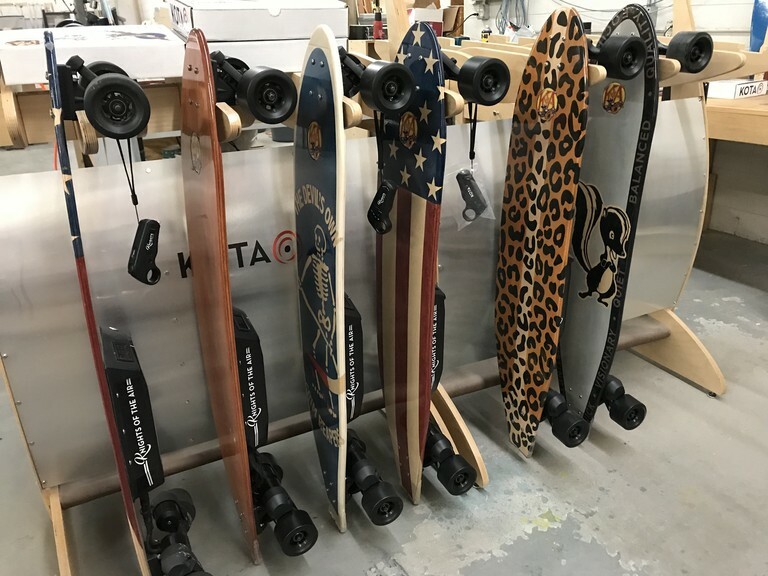 Having started as a conventional longboard manufacturer, KOTA's approach has always been to focus on giving the rider all of the qualities that they want - aesthetic, performance, comfort, ease of use, etc. 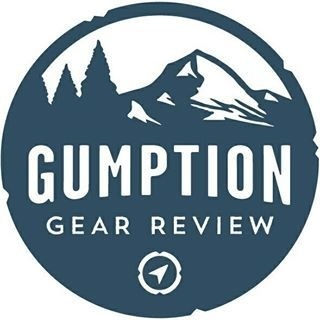 - in any of the gear they buy for their active lifestyle. "This thing is absolutely badass." We believe only KOTA can offer a choice of board shapes with your graphic of choice on a motorized, electric longboard. And all with top tier range, speed and re-charge time at a competitive price point. Our proprietary KOTAgrip finish is the only clear, non-porous, gloss grip finish in the marketplace. Grippy even when wet, KOTAgrip gives the rider exceptional control. Our boards are engineered with "hyperbolic saddle", a combination of camber and concave that allows turning ability (land surfing) like no other longboard. We believe KOTA is the only longboard on the market that features a topside graphic. Grip tape is NEVER needed on a KOTA longboard. With KOTA your personal style is always center stage. "Whether you’ve wanted to try the sport or are already an avid rider, you will love these longboards." KOTA Is Cleared For Takeoff! WE'RE SELLING FUN: How many times has someone asked you "do you want to do something fun" and you said no? At KOTA we specialize in fun. Whether it be riding our traditional longboards or our electric longboards, when we get people to ride KOTA they just don't want to get off. Their joy takes flight and the fear of skating melts away because our boards are easy to learn to ride and specifically engineered for rider comfort and control. No matter what you're on the road to do - commuting, recreating or just cruising around the hood - it's all about having fun! READY TO SCALE: Since our days in the garage, we've dialed in efficient production processes and make a very consistent, high performance "fun machine". Today we own all of our equipment outright and can produce an estimated 20,000 boards a year in our current factory. With an even blend of eBoards and non-electrics, that volume would generate over $14M in annual revenue with approximately $8M in gross profit. Fully capitalized ($400k minimum), KOTA also has the opportunity to purchase our factory location (without tying up raised capital) and secure long-term stability in our manufacturing environment. CASH IS KING: Growth is not our problem, cash is. 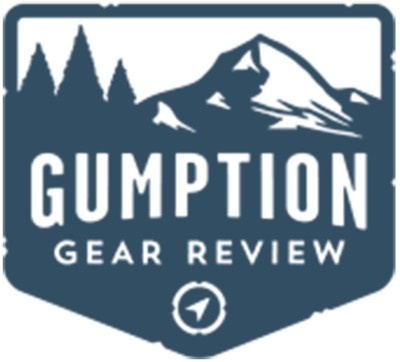 We're raising money now because we need working capital and a marketing budget so we can increase website traffic and conversions on direct sales, capture additional CoBranding relationships and expand into more specialty retailers. We're marching toward cash flow and profitability with multiple sales channels and a diversified product line (conventional longboards and electric boards) that are already growing. The market is there, we need capital to go and get it. Recreation, commuting, shopping or just going from here to there, the demographic riding electric longboards has expanded to include professionals, fitness enthusiasts and shoppers. It's becoming a part of the urban lifestyle. GROWTH: 32% Revenue growth in 2017 while shaving 21% off of our burn rate. KOTA ELECTRIC: Launched first KOTA electric board, THE SPITFIRE MK V, in late 2017. Scheels (specialty retailer) ordered initial units. KICKSTARTER: Successful Kickstarter campaign featuring Spitfire Mk V eBoard in March 2018. 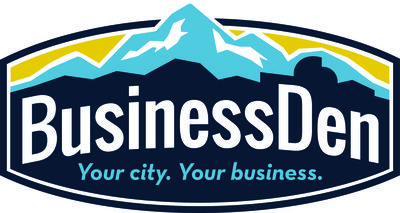 CO-BRANDING: CoBrand relationships with Anheuser Busch, Dewey Weber Surfboards, Oakley, Sage Hospitality, Vail Resorts and many others. RETAIL: KOTA brand picked up by Scheels (specialty retailer) in September 2017. Expansion into seven Scheels locations since February 2018. KOTAgrip FINISH: KOTA has the only longboard on the market with topside graphic featuring our exclusive clear, non-porous KOTAgrip finish. 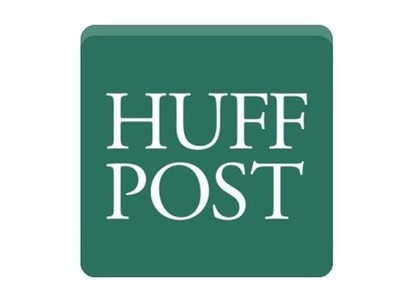 GRANT WINNER: Chase Mission Main Street Grant winner selected from over 15,000 applicants to win $150,000 grant from Google & JP Morgan Chase. WOMEN'S OUTREACH: Established Longboarding Betties women's longboarding club with regular events intended to engage women in recreational longboarding. CSR: Founded 501(c)3, Carve It For Life!, a PTS healing program focused on recreational stress relief through longboarding. We have many more milestones that have been reached on a surprisingly small amount of investment. In the words of one of our investors, "you guys are incredibly efficient with capital." However, we need capital! "When I'm on my KOTA longboard, I feel strong and free, relaxed and focused." Our family of clients is so excited about riding a KOTA longboard that they send us photos every day. We find that skate shops cater to this demographic in terms of atmosphere, culture and style, reflecting the reckless, rebellious youth culture promoted by the skate industry. Our clients consistently tell us that the skate shop 'aura' is alienating to women and others outside of this narrow demographic. Despite this relatively narrow demographic, SIMA quantifies the longboard (hard goods) market at $2 BIL to $3 BIL annually in the U.S. (excluding electric longboards). KOTA caters to a much larger segment of the U.S. adult population with women making up approximately 40% of sales. SIMA quantifies the domestic "Surf Lifestyle" market at 67.5M adults spending $27 BIL annually. Overlapping that market to some extent is the "Fitness Lifestyle" market quantified at 20% of the U.S. adult population (54M people) spending $24 BIL annually on gym memberships alone. * This is an estimate made by KOTA based upon market reports available online and the 2017 Surf Lifestyle Market report from SIMA. At KOTA we focus on providing value to the marketplace. Our pricing is determined not only by margin, but by the real and perceived value of our products and brand. Our longboard products are priced between the 50th and 75th percentiles for longboards over 38" in length. At KOTA we have a saying, "Money chases value, value never chases money." We live by that tenet. "Performance, quality, brand and styling is where KOTA Longboards dominates the market. All of this ties back to the rich history and values the company is based on." Forged in the skies over France in 1914, the Knights of the Air code mirrors the Chivalric Code from medieval times. It defines our conduct in all aspects of our lives, our relationships and in business. Simply put, KOTA stands for holding ourselves to a higher standard in all that we do. High moral standards of behavior. At KOTA we hold ourselves to a higher standard of conduct. It drives how we engage in business partnerships, treat our colleagues and serve our customers. Mental or moral strength to venture, persevere and withstand danger, fear or difficulty. We are resolved to create a profitable business, facing the challenges of an entrepreneurial venture with determination and accountability. Firm adherence to a code of especially moral or artistic values: incorruptibility. KOTA exists to show others how a timeless and quality brand is created. Bearing the scars from exploitative people, we settle for nothing less than the win-win. The common spirit existing in the members of a group, inspiring enthusiasm, devotion and strong regard for the honor of the group. Let's Build Something Exceptional Together! We truly believe KOTA is at a tipping point. We’ve battled through all number of challenges to build a manufacturing company in the U.S. Now we have a factory capable of scaling aggressively, a multi-channel pipeline of business with plenty of growth potential, and a new, kickass product in the Spitfire Mk V electric. The KOTA brand has matured and we’ve carved out a place in the active lifestyle market. In keeping with the KOTA code, we hold ourselves to a higher standard in all that we do, every day. We’ve been lucky to have the support of a wonderful, passionate and growing group of people that want to see KOTA succeed. Now, we’re proud to give them and newcomers to KOTA a chance to invest and join us on this journey. We take our role as stewards of your investment very seriously because you deserve the most from your investment in us. We’ve got the right team in the right place at the right time to take KOTA to a new level. Join us now and let’s light this candle! It’s your life, Carve It! KOTA started on a tear nearly doubling our revenue each year. In 2016 we needed to find a larger, more scalable facility and moved our operation to a new factory. Moving equipment is easy but factory moves have a huge impact on sales and revenue due to the uncertainty of production disruptions. Even though we didn't have full operational functionality until the second quarter of 2017, we still rebounded with 32% revenue growth. Capitalized from StartEngine, KOTA can again be doubling our revenue year-over-year or more. We've matured our market channels and can scale rapidly. In the early years we were pioneering the skate lifestyle into a new demographic. Today, longboard skate is on the radar of the mainstream action sports and active lifestyle consumer. From fitness enthusiasts to surf, ski, snowboard, bike lifestyle participants, KOTA offers the kind of new, fun, youthful and exciting activity they're looking for. We were already on a path to profitability but we believe the introduction of the KOTA Spitfire Mk V and P-51 Mustang electrics will get us there even sooner. Our gross profit on an electric (in dollars) is 5 times the gross profit of our non-electric longboards. "I’ve skated for 45 years, and nothing comes close to the quality, craftsmanship, passion and love that go into every product." "I could see from the start that KOTA had a really interesting brand story and top-notch product. My stepson rides and informs me that KOTA has the best performing longboards in the industry. Now I ride too! When I choose an investment, it’s all about the team. KOTA’s a veteran owned business that takes great pride in reaching out and working with the community. When you visit the factory and show room you’re treated like family, you get a tour of the latest and greatest designs and the goings on with the company. I’m a pretty active investor and have worked with Mike and Nikki extensively. I trusted my money with them because they’re simply some of the most professional, honest, hard working and determined people I’ve ever met." "Longboarding teaches the lessons of life. Sometimes things come naturally, easily. Sometimes it takes just one try. Other times, you fall. Riding my U.S. Flag – Freedom! board teaches me to push harder, adjust and breathe. I acknowledge the risk but pursue being fearless. Why? Because the reward you will feel is worth it. You walk, I KOTA Longboard. I fell in love with KOTA Longboards because it's veteran owned, American and skillfully made. Their designs are rolling works of art, made for every age group and are just all around fun. I've had the pleasure of seeing both sides of KOTA Longboards, giving back to our nation’s finest as well as for purchasing my own board. “It’s your life – Carve It.” couldn’t have been a better slogan." "I ride with my family every single day weather permitting so my KOTA longboards are a pretty big deal. I couldn't guess at how many kilometers I put on my boards in a summer but it's a pretty big number. And it's not just about the boards. It's also what you do for veterans and what you've done for me. I've had several longboards before buying my first KOTA so I can confidently say that KOTA is not your typical longboard company and these boards are definitely not your typical longboard. My deepest gratitude to Nikki and Mike. You can bet I'll keep spreading the stoke up here. Mike and Nikki’s dedication, tenacity and spirit are felt in these boards. I challenge anyone to find a more beautiful, comfortable, smooth-riding longboard." "My boards are a vehicle to freedom, passion and artistic expression. KOTA's a way of life, a family, beauty, sport and fun all wrapped into an amazing work of art. I’ve skated for 45 years and nothing comes close to the quality, craftsmanship, passion and love that go into every product. My KOTA boards are about expression, status and where I am in the grand scheme of life. Some days I want to pad up, throw on some Zeppelin and bomb the steepest roads I can find. Some days are for cruising, long glides and tasting a sunset. When I walk into a coffee shop after a great skate everyone stops and stares. I’m holding a rocket ship on wheels packaged as a work of art. People want to touch my board, try a glide and know where it came from." "I love the fact that KOTA is a veteran business. U.S. made awesome products, with folks who treat you in the kindest way. Getting my board customized and getting to discuss the design was such a treat. It feels like the crew that KOTA attracts is a tight-knit, one-of-a-kind community. It doesn't feel like a group of teens (nothing wrong with teenagers!). It feels like a group of grown ups who never forgot what it means to be a child at heart, to feel the wind inyour hair while riding down a quiet street. It's not a competition, it's just a group of people who know how to enjoy themselves." "I currently own 4! To me, KOTA is not just a longboard -- it’s identity, passion, and the pursuit of excellence. I love the fact that KOTA is also a huge Veteran programs supporter. The craftsmanship of these boards cannot be touched by any other maker, period! When I get on one of my boards, it takes away everything that was going on that day and brings me peace. It’s therapeutic!!!! You can design a board that fits your personality, one of the many unique things about these boards. Not to mention made here in the good old USA!!! I’ve got my boards for life and will proudly refer anybody that asks about the best damn longboard manufacturer around, KOTA Longboards!!!!!" "For our family and where we are in our active lives....its about enjoying the journey, never forgetting to play and feeling the joy of life.....Our KOTA Longboards always get us there!!! It's not just the incredible KOTA product, it's the whole experience - and the experiences we’ve had on our KOTA longboards have been awesome. The boards are high quality, built with pride and are true pieces of art when being ridden or when hanging proudly on our wall between rides. Definitely jump onboard now!" 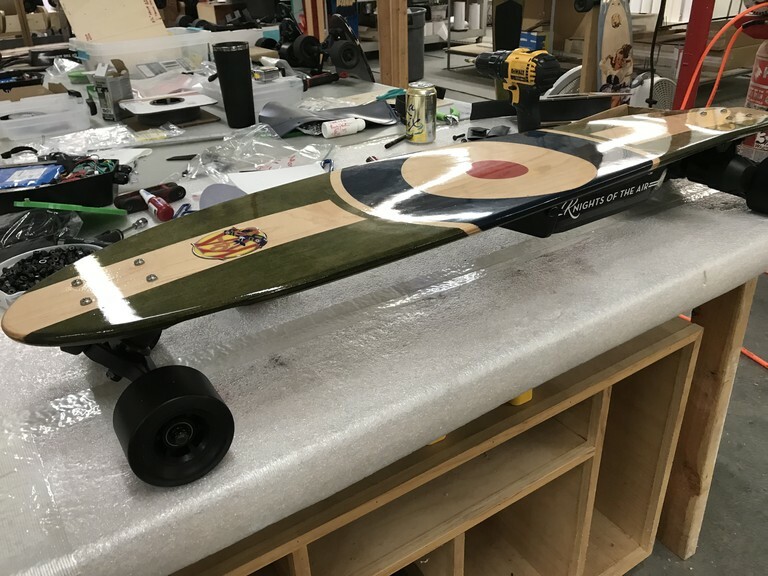 "The efforts they take to make a fun product with their longboards was accompanied by their obvious support for military and law enforcement personnel. Being a police officer, this means a lot to me. Today, I own 6 KOTA longboards, two of my children have one each, and we love to get out in the good Arizona weather to show off the style and fun of our longboards. People see us and always ask where we got them and are amazed at the look and style they display. Several of my associates and fiends have purchased KOTA longboards as well and are pleased with them. Thank you Mike, and thank you to all your staff of dedicated service members and civilians who are doing a wonderful thing for the world." "I first heard about KOTA on ABC News. I really dug KOTA's designs and liked that the company had a veteran and aviation flavor. I'd gotten into longboarding on Okinawa as a means getting around the seawall, but wanted a board that stood out. I got a KOTA Flying Tigers design. The coolest thing was you guys went out of your way to work with me to ship it to Okinawa. When the board got there it was awesome. We asked KOTA if we could do a custom board to commemorate the MC-130P that we flew. We came up with a design and you guys made it happen. I truly appreciate the boards, not only because they're a blast to ride and look cool, but because they're a reminder of one of the best unit's and aircraft I've ever had a chance to be a part of." 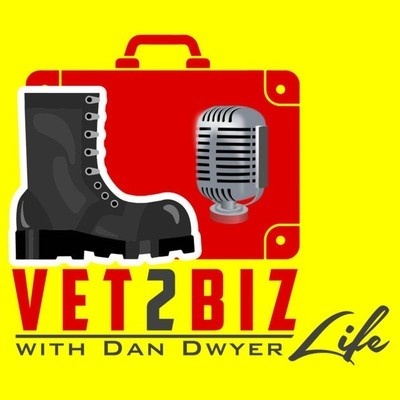 In this episode of the Vet2BizLife Podcast, my guest is Mike Maloney, former Navy Top Gun and United Pilot and founder of Kona Longboards, who produces and distributes high-performance longboard skateboards that are handcrafted with superior styling in Denver, Colorado. Mike is a passionate leader..
Rather than a boring gift certificate for an active, athletic woman, how about a longboard made by a real Top Gun? This is a gift that will make her feel like she is surfing on land. Other fans describe it as feeling as though you are flying. After leaving college with an engineering degree Mike Maloney decided he wanted to be a pilot. He joined the Navy and flew F14 Tomcats, being selected for Top Gun. He was deployed for various conflicts; Desert Storm, Operation Southern Watch and Somalia. After eight years of active duty he decided..
“Growing up, I lived at the top of a hill. At the bottom was my high school, with a mile of perfectly paved sidewalk in between. Each morning, I’d grab my skateboard—a battered thing I stole from a friend’s backyard—and point the nose downhill, carving every driveway like it was the face of a wave. After navigating through some turbulence, founder and CEO Mike Maloney is flying high with a new factory and a focus on direct sales and co-branded longboards. Regardless of our allegiance towards the hip skateboarding culture, we have to give it to KOTA for the introduction of their Nieuport 17 U.S. 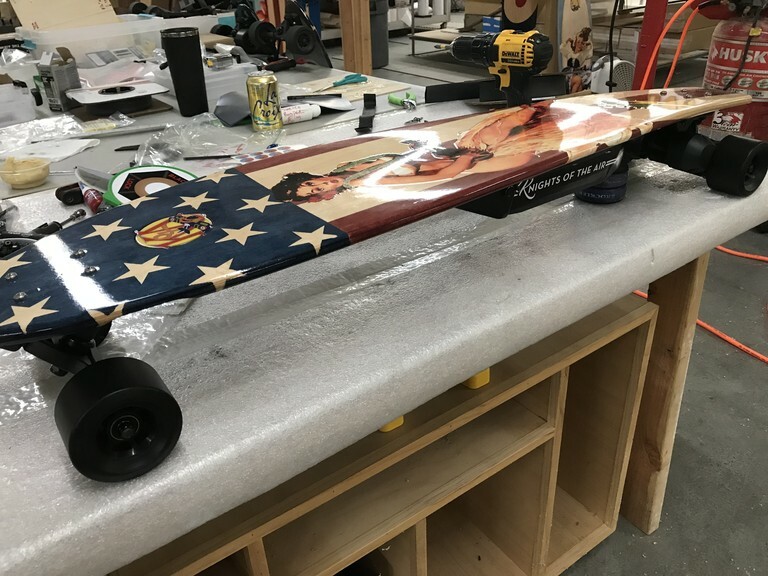 Flag Longboard. This thing is absolutely badass and dripping in US pride. KOTA Longboards might be the new kids on the block, but they’ve already demonstrated a penchant for crafting high performance longboards with a refined style. Taking inspiration from the historic military aircraft flown by the intrepid Knights of the Air, the team at KOTA has developed a series of.. Manufacture, sales and distribution of longboard skateboards, electric longboards and branded merchandise. $3.20/unit│When you invest you are betting the company’s future value will exceed $3.0M. KOTA will offer 10% additional bonus units for all investments that are committed by StartEngine Crowdfunding Inc. shareholders (with ≥ $1,000 invested in the StartEngine Reg A+ campaign) within 24 hours of this offering going live. StartEngine shareholders who have invested $1,000+ in the StartEngine Reg A+ campaign will receive a 10% bonus on this offering within a 24-hour window of their campaign launch date. This means you will receive a bonus for any units you purchase. For example, if you buy 100 Non-Voting Membership Units at $3.20 / unit, you will receive 10 bonus Non-Voting Membership Units , meaning you'll own 110 Non-Voting Membership Units for $320. Fractional units will not be distributed and unit bonuses will be determined by rounding down to the nearest whole units. 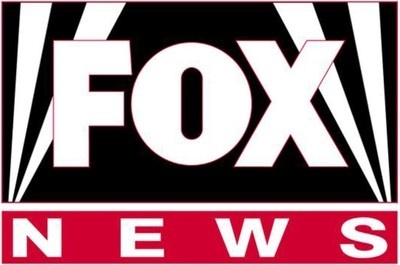 The Company might incur Irregular Use of Proceeds that may include but are not limited to the following over $10,000: (a) additional R&D to expand current product lines or establish additional product lines. (b) additional equipment purchases such as a larger air compressor and/or a CNC machine to enable us to automate board shaping, produce POP displays and create new products for sale. (c) factory space improvements. As you might know, KOTA Longboards has exceeded its minimum funding goal. When a company reaches its minimum on StartEngine, it's about to begin withdrawing funds. If you invested in KOTA Longboards be on the lookout for an email that describes more about the disbursement process. Electrics, electrics and more electrics! Product is leaving our factory daily. These are all Spitfire Mk V electrics preparing to ship to clients. These boards are being delivered to a husband and wife pair, Lockheed engineers, USAF Colonel, Sr Exec from Anchutz Corp, C-130 pilot, USAF Para Rescueman, a pair for one of our many CoBrand partners, an east coast IT firm, etc., etc. Pre-orders have begun for the P-51 Mustang featuring 15% greater torque! Fully capitalized, our factory should be filled from one end to another with eBoards heading to direct clients, CoBrand partners and specialty retailers. I wanted to reach out and thank our early investors, followers and supporters! We're just getting going on this campaign and sincerely appreciate your interest. We've had a busy weekend with an event at VFW Post 1 for the Santa Fe Street First Friday Art Walk here in Denver, and then our bi-weekly Longboarding Betties event on Sunday. Betties is a local outreach event where we teach people how to ride. Yesterday was amazing with a growing group of folks from late 20s to 60s coming out to ride. Our videographer was there so look for another update with some video of Betties and the P-51 Mustang electric. 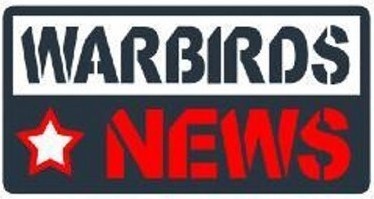 Now we begin the marketing for this capital campaign in earnest. Your early support and feedback will help to make this campaign a success!